We know that the platelets surround the bleeding area to protect against severe blood loss. This is a common phenomenon known as clotting. The body has several factors that help in clotting. Sometimes the clotting factors overexert themselves and their overproduction can form an embolus which may or may not move in the bloodstream. The process of a blood clot in the blood vessels is referred to as Thrombosis or thrombus. These blood clots can obstruct the blood flow in the clotted region or where the blood vessel is narrower. Thrombosis can happen in both arteries and veins. It can lead to tissue damage. The blockage can be complete or partial. Blocking of the tissue may be subjected to pain, discoloration, redness, swelling and tenderness. Age, metabolic disorder, thrombophilia abnormalities, surgery, cancer, immobilization, oral contraceptives, hormonal therapy, and air pollution are risk factors for the embolus. Argan oil is native to Mediterranean region or more specific to Moroccans. Moroccans have enjoyed the benefits of this oil from centuries. They used them in treating allergies, diabetes, preventing cardiovascular disease, and beauty purposes. It has been best known for its cardio-protective nature and treatment of skin infection. Argan oil is a product which is extracted from the kernels of the fruits. The argan tree is found in dry regions of Morocco with deep-seated roots. The principal components of the golden oil are mono-unsaturated and poly-saturated fatty acids. Approximately up to 80% of the mono-unsaturated and 20% of poly-saturated fatty acids can be extracted. Apart from the fatty acids, the oil is a rich a source of triterpene alcohols , Squalene, Tocopherols, polyphenols and sterols. These components contribute to the benefits of the golden elixir. There is an endless list of benefits of argan oil in almost all regions of the body. The argan oil acts as anti-coagulant, anti-oxidant and anti-platelet aggregating, which help in preventing the formation of clots in blood vessels. Studies on Argan oil have disclosed that it can inhibit the platelet aggregation in vitro as well as in vivo without prolonging bleeding time. This study examined the anti-thrombotic effect of the argan oil on acute pulmonary thromboembolism (a condition when blood clots travel to the lung) in an animal model. It showed that the density of occluded blood vessels decreased significantly. Further human studies need to be conducted to confirm the hypothesis. Argan oil when included in the diet may prevent coagulation of embolus and coagulants and hence prevent the risk of thrombosis and cardiovascular disease. Argan oil contains a component named triterpene which has been found to show anti-platelet aggregation activity. Triterpene has also shown catalase activity and hence can oxidize the clot and break them into smaller particles. The effect of triterpene depends upon the concentration. It has been found to suppress the activity of Hsp70 (a molecular agent that helps in protein binding) by suppression of the aggregation of the proteins. Argan oil contains triterpene which is responsible for anti-platelet aggregation without affecting the bleeding time. This oil is known for its anti-inflammation properties. Inflammation caused due to thrombosis can be relieved by using argan oil. Inflammation is linked with the excess yield of superoxide radicals which is enhanced by secretion of inflammatory mediators from macrophages. The inflammation inhibitory effect of triterpene was compared to indomethacin which is a non-steroidal anti-inflammatory drug. Effect of Triterpene was equivalent to indomethacin. It was also concluded that it didn’t reduce the protein matter in the granulation tissue but showed significantly increased in the activity of catalase. Beside this, poly-phenolic compounds also help in the reduction of pain in the inflamed area. Argan oil containing triterpene and poly-phenolic compounds that act as an anti-inflammatory compound because of increased activity of catalase. Oxidized low-density lipoprotein (LDL) and cholesterol trigger thrombosis by attaching to blood vessel lining. Antioxidants can break down these components and prevent them from attaching to blood vessels; indirectly preventing thrombosis. The rich source of unsaturated fatty acids and the presence of antioxidant component and sterols in argan oil showed rapid blood clearance. Oxidizing agents like catalase and superoxide dismutase destroy the reactive oxygen species and protect against thrombosis. This means that the argan oil destroys the low-density lipoprotein (LDL) which can activate factors influencing thrombosis. The argan oil regular consumption is found to be effective in improving the status of lipids and Apo-protein. It shows the anti-atherogenic effect by increasing the susceptibility of low-density lipids (LDL) to oxidation and hence reducing risk factors to thrombosis. The tocopherol component of the argan oil is responsible for the anti-diabetic effect. It elevates the hepatic glycogen level and induces suppression in plasma glucose level which therefore prevents another risk factor for thrombosis. This means that the intake of argan oil reduces the risk factors like diabetes, cholesterol and cancer. Reducing the risk factors ultimately reduces the chance of thrombosis. No specific dose of argan oil has been prescribed for thrombosis. 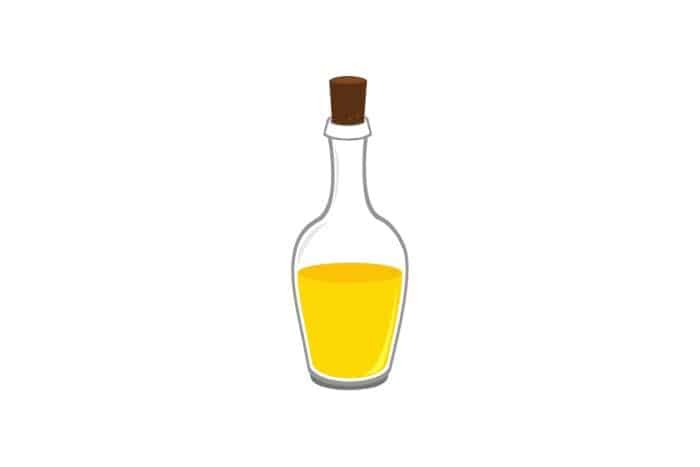 1-2 tsp of argan oil can be consumed daily as a part of regular diet. People who are allergic to nut should avoid its use. Argan oil should not be used for prolonged frying. It should be consumed uncooked (directly or salad dressing) or fry for short time. The argan oil, an organic natural product doesn’t have many studies which provide the evidence for the argan oil to be anti-thrombotic. The several successful studies are known to be done on animal models. Further clinical trials on humans need to be done to confirm the hypothesis generated by the animal studies. The golden elixir has been known to reduce the risk factors like diabetes, cholesterol, cancer etc. The argan oil acts as anti-coagulant, anti-oxidant and anti-platelet aggregating, which help in preventing the formation of clots in blood vessels. The anti-inflammation activity of argan oil reduces the pain and swelling in the clotted region hence providing reliving in affected tissue.